The skin is highly affected by patients with untreated gluten intolerance. Dermatitis herpetiformis is widely recognized as being associated with CD/GI, however there are other skin issues that can result, but often go unnoticed. Other skin issues in celiac disease can also be the result of multiple deficiencies. Zinc is essential for the repair and renewal of skin cells. Zinc deficiency can lead to eczema, psoriasis, acne, nasal polyps, and darkening skin. Zinc is also needed for the conversion of essential fatty acids into other compounds. Deficiency of omega-3 fatty acids can lead to dry skin and hair, which can be mistaken as eczema, as well as hard, dry, itchy papules called prurigo nodularis. Vitamin A deficiency can lead to pityriasis rubra pilaris, a type of dermatitis leading to thick, scaling skin and often associated with anemia. Iron deficiency can lead to a pruritic skin rash, a fancy term for “itchy skin”. 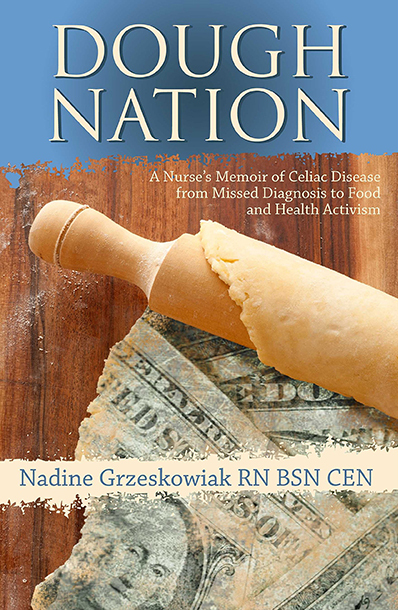 Still, untreated celiac disease can lead to even more skin issues not related to deficiencies. Scleroderma, causing hyperpigmented, taut shiny skin that looks like you had facial chemical peel gone wrong. Seborrhea, a sebaceous gland disorder causing scaly patches and bumps on the skin. Vitiligo and the permanent loss of melanocytes. Erythema nodosum. Ichthyosis. Melanoma. Each of these skin disorders have a much higher prevalence rate in untreated celiac disease. Skin conditions can be slow to heal on a gluten free diet, but strict adherence is successful in clearing up the painful and itchy issues in most cases. Skin conditions caused by deficiencies are the quickest to heal. The good news? A gluten free diet will, at the very least, halt the progression of the condition. If you have an itchy rash, or unidentified skin condition anywhere on your body, we recommend getting tested for celiac disease and trying a gluten free diet.